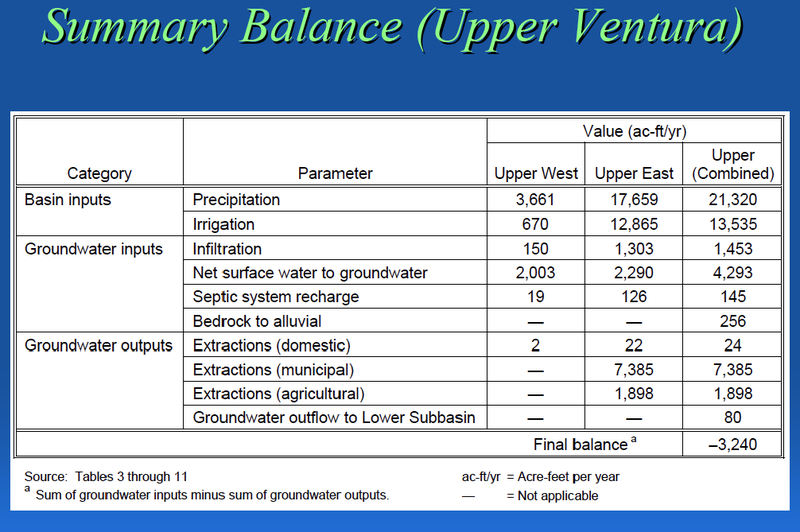 A draft report for the first time develops a water budget for aquifers along the main stem of the Ventura River and outlines an approach for the development of a Groundwater Management Plan. 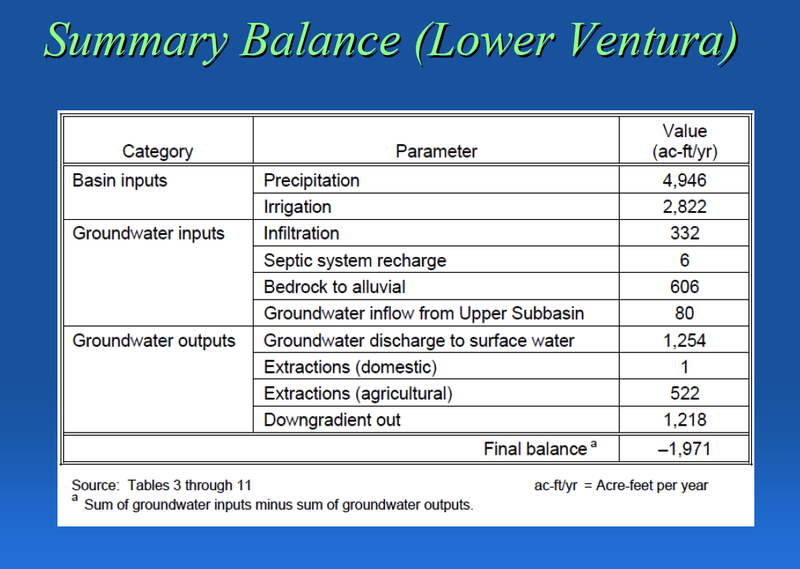 At the August meeting of the Ventura River Watershed Council, a presentation was given on a draft report titled "Groundwater Budget and Approach to a Groundwater Management Plan - Upper and Lower Ventura River Basin." This graphic illustrates the important role that groundwater plays in the water cycle. 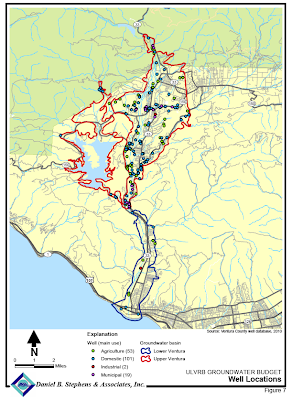 The study compiles data from several sources to quantify the inputs and outputs in the upper and lower Ventura River Basin. Comments are being incorporated and the final report is due out next month. 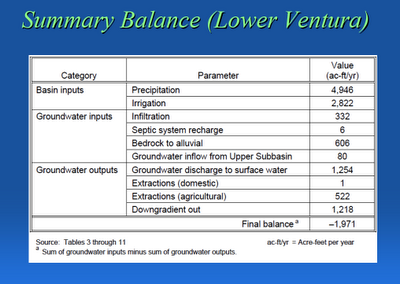 Recent reports indicate that groundwater supplies in California and around the world are being unsustainably depleted. 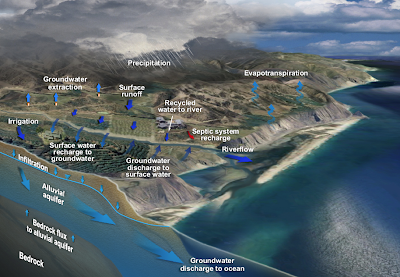 "...nearly 80 percent of the world’s population lives in areas where the fresh water supply isn’t secure. And while industrialized nations have made massive investments in infrastructure to keep the faucets flowing, those projects have taken a toll on the environment." 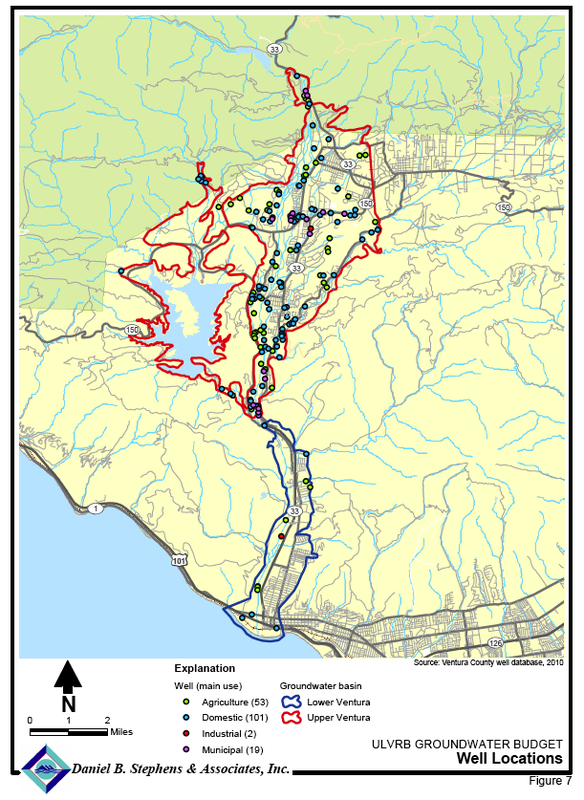 "...governments should to invest in water management strategies that combine infrastructure with “natural” options such as safeguarding watersheds, wetlands and flood plains. [BBC News]"